For many of us who live in temperate climes, the dreary, rainy weather that winter brings is sufficient reason to want to pack up for an all-inclusive holiday on the beaches of a sunny, warm land. 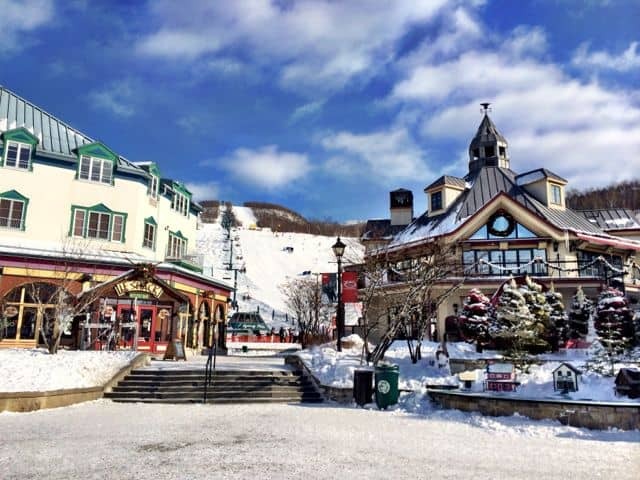 For those of us who enjoy the perks of a refreshing chill in a snowbound land, there are plenty of unique options as well. And Lapland, in Finland’s far north, crowns the list this winter. Santa Claus, snow and huskies are probably the first things that spring to mind at the mention of Lapland’s name, but there’s much more to this diverse land than Christmas gimmicks and bearded men in red suits. Lapland’s capital, Rovaniemi, is as cosmopolitan as it gets in this icy tundra – as northern Finland’s business, cultural and educational centre, Rovaniemi is home to some of the best bars, hotels and restaurants in Lapland. Getting around Rovaniemi is easy – as a major hub in and out of the province, it is home to Rovaniemi Airport and excellent travel links in and around the city. Sightseeing trips to more remote areas outside the city are facilitated by tour guides and although taxis are plentiful, within the city limits almost everything is best reached on foot. If you feel like indulging in a spot of sightseeing you’ll find plenty of it in and around Rovaniemi. There are a number of fabulous Santa grottos to visit around the city and a lovely reindeer farm situated just outside Rovaniemi: Santapark lies around 8km outside of the city. You can also visit the Artikum, or Arctic Science Centre and the Rovaniemi Art Museum which specialises in contemporary Finnish as well as nordic art. The highlight of a visit to Lapland in the winter is undoubtedly the experience of seeing the expansive snowy landscapes. You’ll find no shortage of tour guides offering arctic safaris so you can slip through the tundra on a snowmobile or sleigh and take in the splendour of Lapland’s unspoilt magnificence. This winter, another grand highlight awaits: the aurora borealis or the Northern Lights. Though the Northern Lights can be seen throughout the year, if it’s sufficiently dark, the 11-year cycle hits its peak this winter. That promises more opportunities to spot this spectacular natural phenomenon. 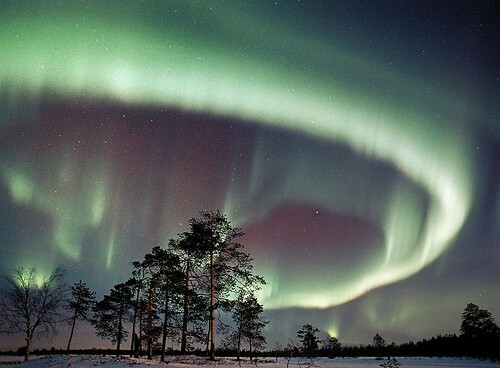 Furthermore, Lapland is one of the best places in the world to view the aurora borealis in all its glory. The resort of Ylläs will give you a real taste of Lappish living – situated amongst miles of pure white snow and perfect pine forests, Ylläs plays host to a huge array of winter sports and traditional Lappish bars and eateries. 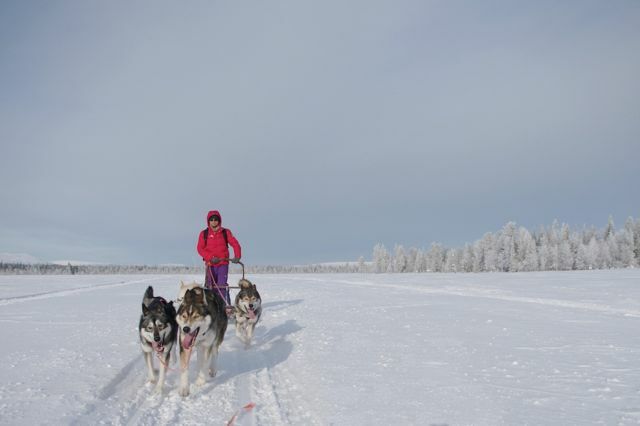 Famous for its cross-country and downhill skiing (being Finland’s second-largest ski resort), Ylläs offers a multitude of other fun winter activities such as husky- or reindeer safaris, snowshoeing and ice-fishing. If you’re feeling adventurous you could even take in a traditional Finnish sauna before racing outside for a few seconds of ice-swimming! Lapland has a number of beautiful hotels that will warm the cockles of your heart after being outside in the sub-zero temperatures. The Hotel Snowflake is a stylish and cosy 4-star hotel with three beautiful restaurants specialising in local game dishes. There are a range of room types and apartments available, with some even coming equipped with their own saunas so you can warm up after a day in the snow. Hotel Kieppi has a rustic, traditional charm. Its pine panelled walls echo the look of Finnish homes and the lobby’s roaring open fireplace conjures up images of sitting by it with a book and a cup of eggnog on a blustery night. The homey charm continues in the restaurant, which serves Lappish specialities. The Winter Wonderland Hotel epitomises everything wonderful about Lapland – swathed with snow in the dead of winter and split into cabins and a stunning main hotel building. The hotel has a particularly festive focus, with carol singings, tobogganing and other festive events taking centre stage so if you’re thinking about taking a trip to Lapland for the holidays this could be the place for you. Note: this post was brought to you in partnership with First Choice Holidays. Ugh. Wish I hadn’t seen this post right now … I am longing for winter adventure SO BADLY and this is PERFECT! To ride that dog sled and see snow that thick caked on those beautiful trees! Ahh … perfection in nature. Thanks for sharing! Maybe I’ll get there one of these days! … Your description’s are so good, they would make anyone want to go there! 🙂 Had you been yourself?